Nigeria is set to establish a matchmaking database for international business interconnectivity and stress-free investments. The 119 Nigeria missions would serve as one-stop shops to spur investments through information sharing and elimination of bottlenecks. 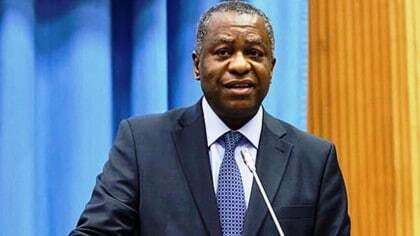 Foreign Affairs minister Geoffrey Onyeama, told the News Agency of Nigeria (NAN) in Abuja that the initiative would enable Nigeria’s products and investors to access the world market easily. It would also enable foreign investors to have unfettered access to informed and genuine information concerning business opportunities in Nigeria. The minister explained that the scheme was to be implemented through a matching-making database aimed at promoting exports and enhancing nation’s Foreign Direct Investment (FDI). According to Onyeama, the design is an economic diplomacy which is a framework to address the severe economic challenges facing Nigeria. He said that Nigeria has representations in 119 countries and the ministry could leverage on the advantage to deliver concrete economic benefit to the nation. “It is a pet project. It is a matching making database, for our Foreign Direct Investment (FDI) and export promotion. “So this database will essentially enable any Nigerian business to upload to our database that could be managed from Foreign and affairs together with the ministry of trade and investment,” he said. “I felt that when we have a presence in 119 countries it is a fantastic advantage to push Nigerian products and businesses in 119 countries. “So we would like to present a one stop shop to export Nigeria goods. “And that whenever any business is uploaded in each of their countries they have to seek for partners and match that business person with a partner in that country to put in places a business agreement,” he said. He said he would like same be done in inversely conversely so that any foreigner who wants to get involve in business in Nigeria not knowing the country can also upload on the database. According to him, such people can access all the information about what they might want to deal in and we together with the ministry of trade we match them with Nigerian businesses. He said the scheme would also save Nigerian businessmen from going through all kinds of bottlenecks and paying all kinds of fees in foreign countries. “We feel it that way because we have a lot of bottlenecks in a lot of Nigerian businessmen trying to do business outside the country, so many bottlenecks. “We have the markets in all these countries, so that our business people and traders have the world at their fingertips,” he said. Onyeama said that his ministry was also looking at how to utilise the same method to attract Foreign Direct Investment (FDI) into Nigeria.